This entry was posted in APL Language, CTO, MiServer by Morten Kromberg. Bookmark the permalink. Interesting page. 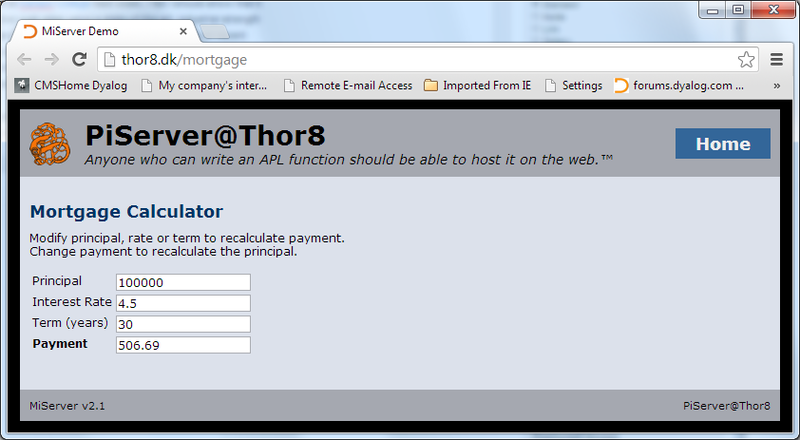 nice to have the calculation move towards fields besides the payment amount. It will be interesting to see how you manage the trade-off between interactivity, or being APL-pure in future iterations. That’s me. APL developer without JS skills, nor time enough to acquire them. I will learn enough so that the application meets expectations for usability, functionality, efficiency, and reliability.